Did you know I wrote a feel-good Valentine's Day book? Don't worry, it's not too mushy. 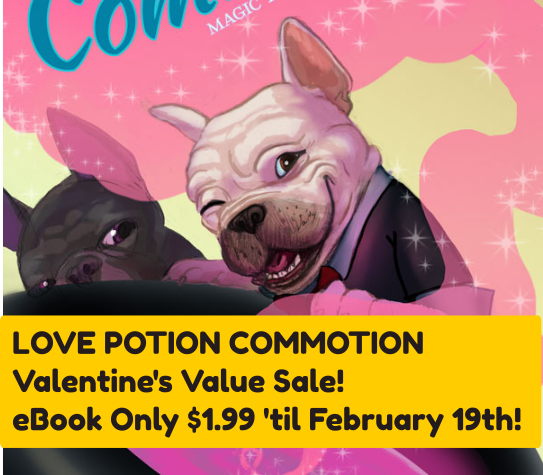 It's called LOVE POTION COMMOTION and it's got talking French Bulldogs. If you're still jonesin' for Hallmark movies, you'll probably get a kick out of this. It's normally $4.99 but it's on discount 'til the 19th. Sale price is active at Amazon right now, but the others are soon to follow!